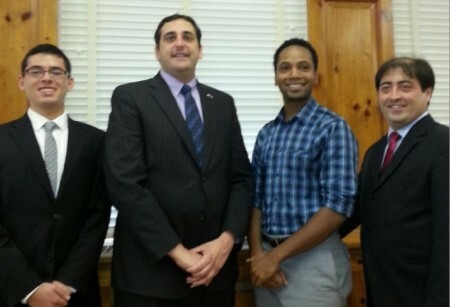 Assemblyman Chad Lupinacci recently joined representatives from the Mahanaim School to announce that the International Youth Fellowship (IYF) World Camp will be coming to the Huntington area. An estimated 2,000 students from around the US and abroad will travel to Huntington to participate in this special event aimed at addressing current youth problems and developing young people into leaders. The event, which runs from August 18-22 will focus on leadership training, personal development and real life experiences. IYF World Camp will also have special guest leadership speakers, spiritual development sessions, culture exhibitions and performances, a leadership symposium, a 5k Mini Marathon, concerts, and academics including martial arts, foreign languages, photography, and much more. IYF World Camp kicks off and concludes in grand fashion with the Opening Ceremony and Gracias Christmas Cantata. Both events will be held at LIU C.W. Post’s TillesCenter for the Performing Arts. The Opening Ceremony is scheduled for August 19 at 6:50 p.m. and will feature cultural dances, welcoming addresses from notable Long Island figures, and performances from the world-renowned music group, Gracias Choir. Gracias Christmas Cantata, which is considered to be the choir’s signature musical event, is slated for August 22 at 7:30 p.m. Both events are free and open to the public.